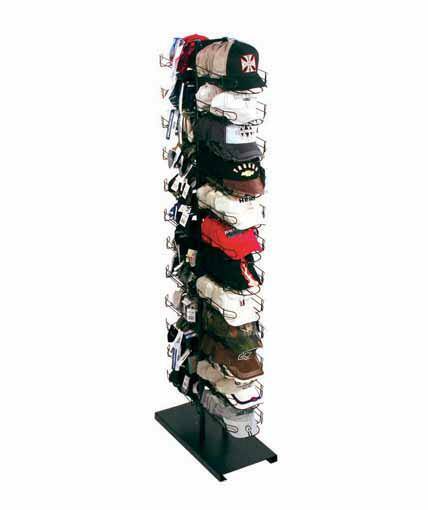 Our stock cap displays have stood the test of time and driven a strong return on investment for dozens of headwear programs. You can find them in more than 5000 stores across North America. All of our cap displays have a small footprint, are cost-effective, and ship knock-down, which saves money on shipping and storage. 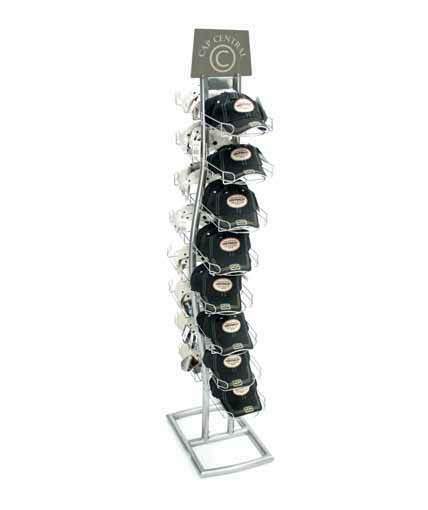 We offer both floor cap displays and counter cap displays. Our counter display holds up to 24 caps, while our floor displays range from a 1-sided display with 8 pockets that holds up to 64 caps to a 2-sided version that has 24 pockets and holds up to 192 caps. Our cap displays are designed to put the focus on the caps rather than the display. Time and time again these displays have shown impressive sales lift for our customers. They are a perfect choice for convenience stores, airport stores, grocery stores, sporting goods stores, mass market retailers, specialty stores, and many other kinds of retailers. 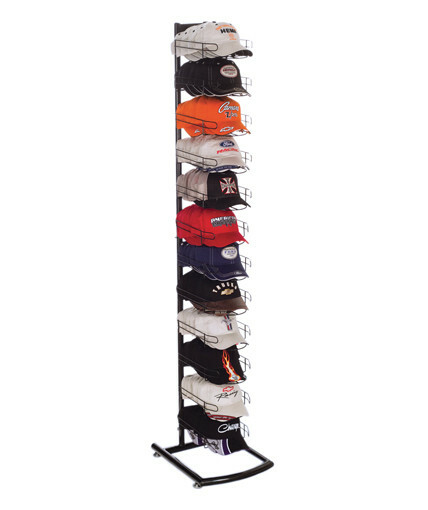 All of our cap displays can accommodate a header sign to help you promote your brand. 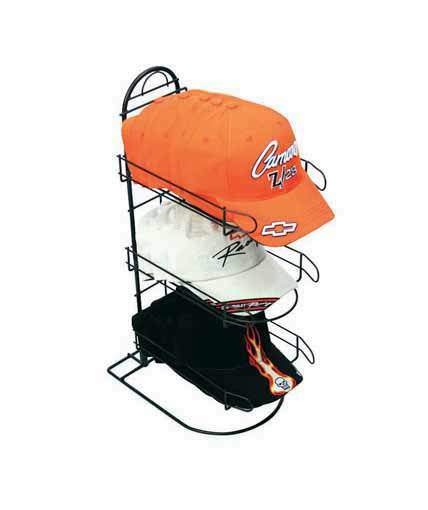 Our stock cap fixtures are ready to ship and are easy to assemble with no tools at retail. If our stock cap displays aren’t what you are looking for, give us a call to discuss how we can help you design a custom display to make your headwear program a success. 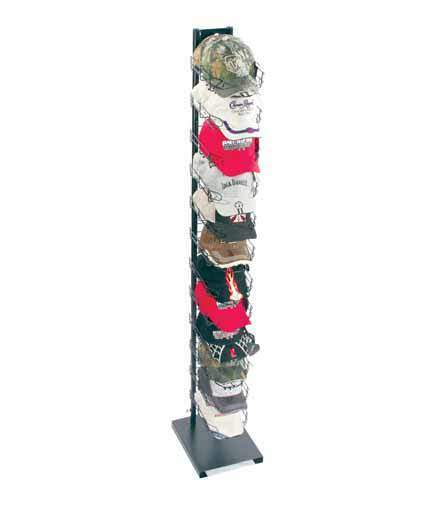 Rich LTD. offers Cap-Hat Displays. 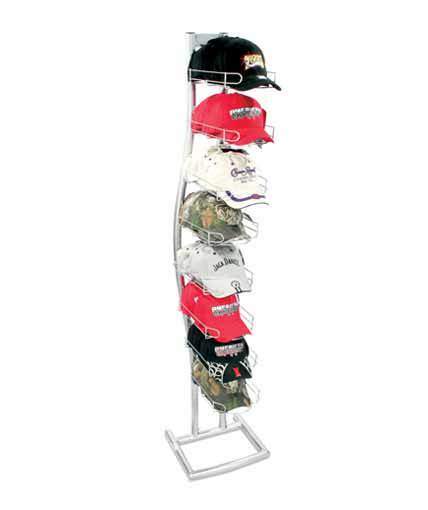 We have different sizes and styles of Cap-Hat Displays for your stock retail displays!